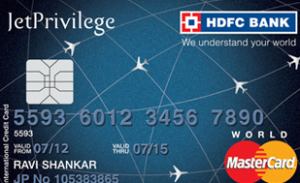 How HDFC Credit Card’s Rip Off With Late Fees & Over Limit Fees Lead You into Debt Trap ? I’ve been running this Credit Card and Loan Advisory for over 8 years and during this time I have not come across a case as terrible as this one where HDFC Bank’s Credit Card’s division has optimized its accounting algorithm to levy Late fees, Over Limit Fees and push the consumer into severe debt trap. A reader sent me an e-mail stating that he had spent a mere Rs 14,277 using HDFC Credit Card, and has already paid a whopping sum of Rs 1,04,612 [One Lakh Four Thousand Six Hundred Twelve] and the bank at its whims and fancy keeps raising bills which he is no position to pay and hence had prayed for help. I couldn’t believe if this was True and hence demanded statements. The user sent the same and when I segregated the Late Fees, Over the Limit Fees and Finance Charges, I was shocked to the core. Finance Charges is not just on the Principal component, the moment you fail to pay a month’s bill, your Late Fee will be Levied and once you cross the Limit, Over Limit Fee will also be levied and finance charges will be on the Monthly Balance. This is worse accounting practice than Local Goons who Finance at High Rates such as 3% to 5% per month. Even in that case, the consumer would have walked out free. I’m sure this account would have been the best profit making individual portfolio for the bank on the basis of Internal Rate of Return. If HDFC Bank wanted, they could have classified the account as DEFAULT once the customer failed to make payments, however, they kept the account running and used Muscle Power of Recovery agents and threatened him to make payments. They even forced him to link his Salary Account and thus was in an endless Debt Trap – Where Debt Kept Increasing Despite Making Huge Payments every month as seen in the chart. First, I’d like to draw your kind attention to the RBI Master Circular on Credit Cards, dated Jul 01, 2014 section 6.3.c which clearly states that Banks are not supposed to intimidate or harass of any kind either to the card holder / family members. Hence I sincerely request you to stop sending your collection agents or them having call me for recovery as I am writing to you to settle the matter once and for all. Later we have appealed the case with RBI Ombudsman as HDFC Ombudsman failed to reply. However, we would caution all readers to Pay off Credit Card Debt as early as possible to avoid such Debt Traps. This entry was posted on Thursday, March 5th, 2015 at 5:11 pm	and is filed under HDFC Credit Card. I have been suffering from the this situation and i don’t know where to go for help. please guide me in a right direction.